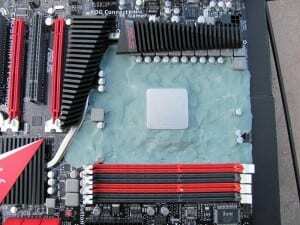 Forum users “icebob” and “1kingd2” are already putting these new Thuban processors to the Overclockers test in the forums. 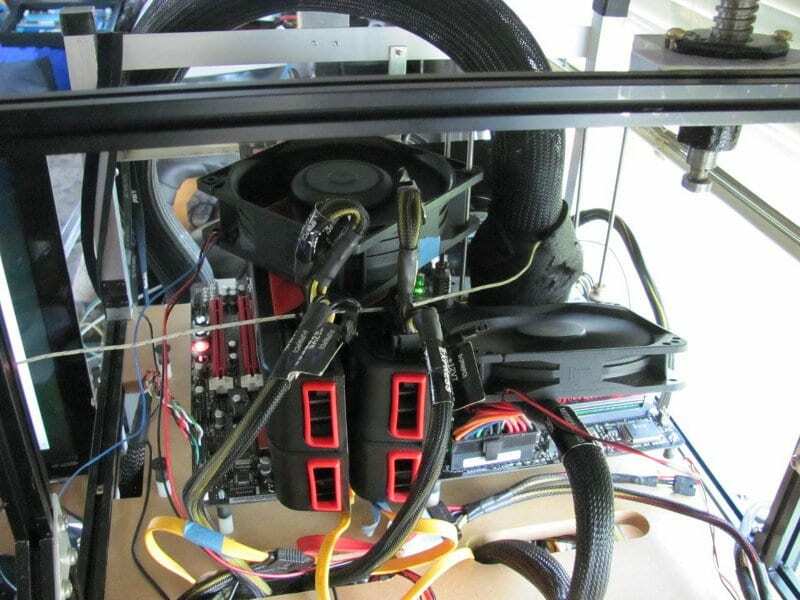 And here’s icebob’s setup for testing, including the single stage phase change cooling, used to test out overclocks and become familiar with the platform at “moderately cold” temperatures. I say “moderately cold” because while he’s going subzero, the evaporator will “only” get to around -45 degrees Celcius. It allows extreme benchmarkers like Bob to get familiar with the platform and how it behaves, prior to getting serious and mounting a CPU Pot on the processor for Dry ICE or Liquid Nitrogen. He has that planned for the weekend, so long as this preliminary testing goes smoothly and he doesn’t find any roadblocks. Both Overclockers are making good progress, and at the same time they’ve found some issues other enthusiasts will want to be aware of when working with these processors. To take a look at the issues they’ve found and track their progress, head over to the forums and check out their threads where they are actively reporting their results and experience! Sounds like Icebob is positioned for 3rd on hwbot for superpi 1M, and the 2 people in front of him are on Liquid Nitrogen. Will be interesting to see what the weekend ahead holds once he pours on the LN2 also!